Meet This Maker – Citrus & Mint Designs + GIVEAWAY! 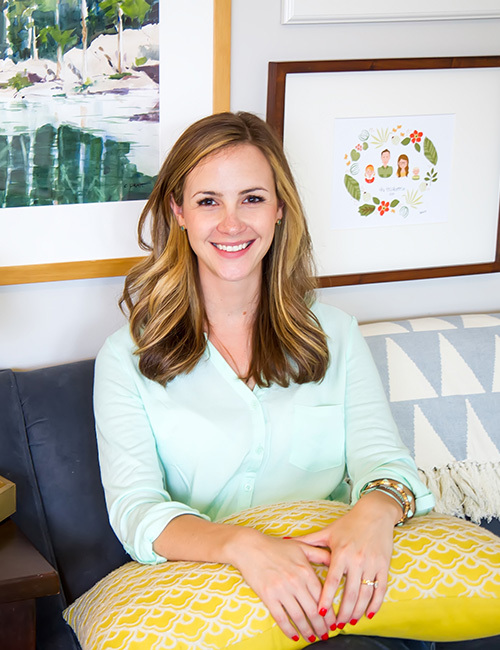 Today we are excited to introduce you to Rachel Erickson of Citrus & Mint Designs! Rachel Erickson, of Citrus and Mint Designs, hails from the always beautiful, and almost always humid, Florida. 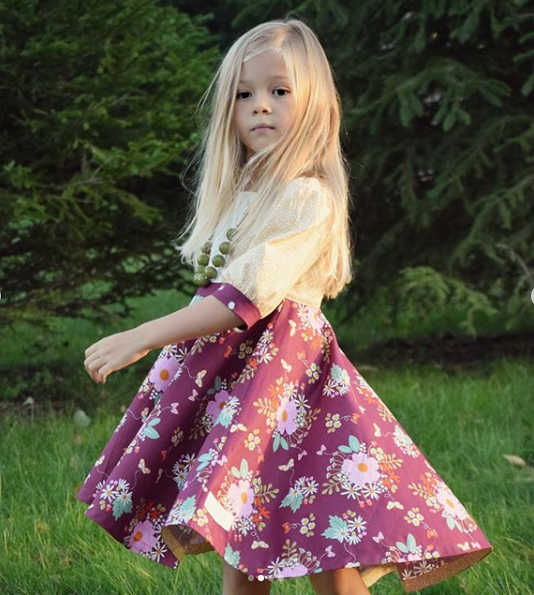 Like many other designers at Riley Blake, she is a teacher turned stay-at-home mom who discovered illustration while searching for a hobby to maintain her sanity at home with two little children. Rachel comes from a long line of seamstresses who she constantly disappoints with her aversion to “measuring twice, cutting once.” Illustrating is her passion. She is drawn to bright colors and a hand-drawn whimsical style,though she has to remind herself often that not everyone loves orange as much as she does. When she isn’t illustrating, you can find her sipping diet coke while playing “kitty tornado waterslide” with her son (don’t ask), drawing baby animals with her daughter (mostly kitties), or combing the beach for more tiny shells and shark teeth to add to her borderline obsessive collection. 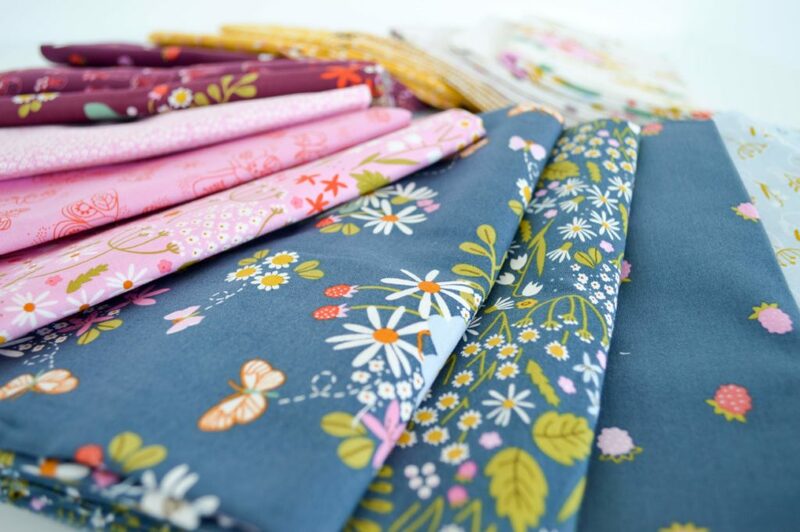 Rachel’s newest collection, Wild Bouquet, features a strong, yet equally soft nature inspired pallet of florals, berries, and moths. Rachel does a beautiful job of pairing intricate detailed artwork with simple sketch outlines, creating perfect balance and harmony. 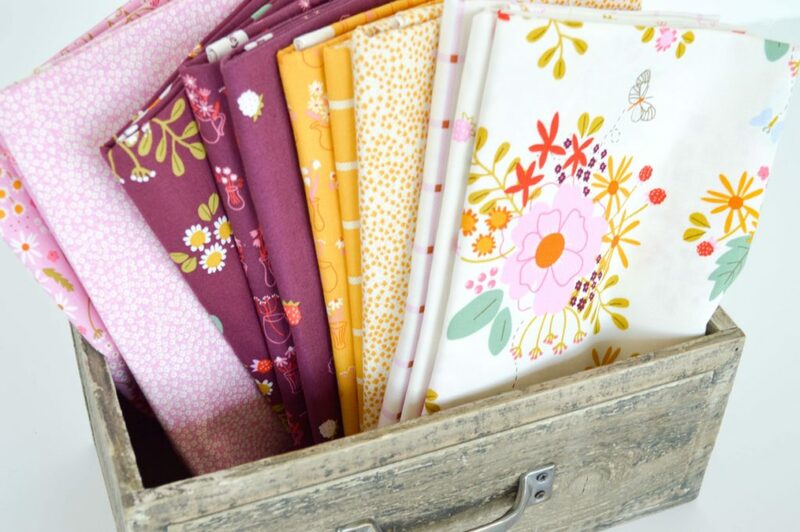 Perfect for quilting, clothing, and home decor, Wild Bouquet speaks to every mode of creativity with whimsy, elegance, and color. You’ll find Rachel on Instagram @Citrusandmintdesigns. 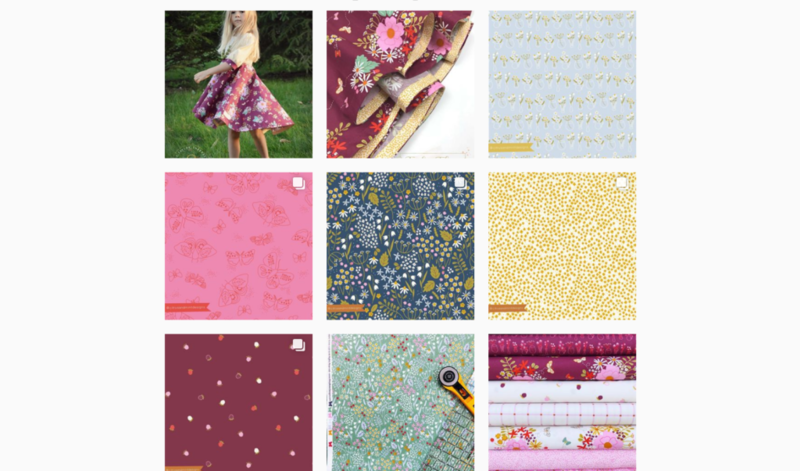 Be sure to follow her Insta feed for fabric updates plus loads of gorgeous photos, ideas and inspiration! In order to get to know Rachel better, we gave her a list of words in alphabetical order to which she could give any reply that came to mind. Enjoy this fun and refreshing look at life from Rachel’s unique perspective! Annoying: Self-checkout lines. Something always goes wrong. Begin: This summer I began three quilts and finished zero. Can’t: Right now there are a lot of things I can’t do, but I’m trying to focus on what I can. Dogs: My daughter is begging for a dog–she just needs to convince daddy. Extra: I wish that I had extra hours for sleep. Family: “There’s always room for one more” is my motto. We have lived far from family so we’ve adopted quite a few non-relatives into our “family”. Great: Born a Crime is one of the greatest books I’ve ever read. Hero: Frida Kahlo. She experienced chronic pain, just like me, but found ways to be creative despite the pain. If: If I had a million dollars, I would pay off my house, student loans, and then put the rest in savings like a really boring practical person or splurge it all at Anthropologie. Keeper: My husband is a keeper. He is everything to me. Lake: Gators! Don’t swim in Florida lakes. Swim in the ocean. Monday: Hooray! The kids go back to school so I have an entire week of silence to get things done! Open: My schedule is not nearly as open as I thought it would be with both kids now in school full-time. 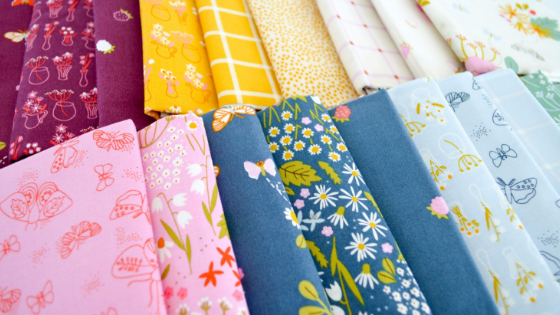 Possibility: There are too many possibilities for the theme of my next fabric collection. 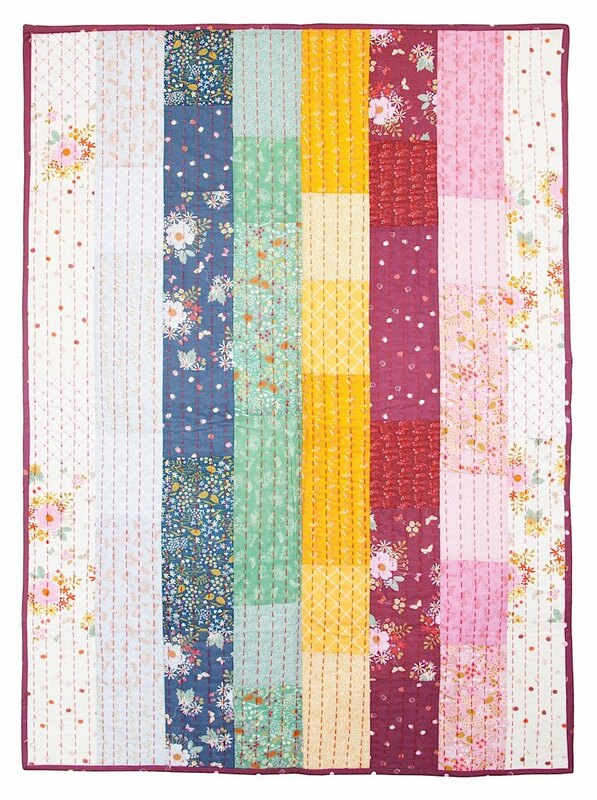 Quilts: I’ve pinned so many amazing quilts on Pinterest and I want to make them all! Rollercoaster: Space Mountain. My entire family is now tall enough to ride it together. Sewing: I dream of one day having a beautiful sewing room, instead of just the kitchen table. Tricky: Picking colors is tricky. I love and hate that process. Undo: Why I love illustrating digitally—it’s so easy to undo mistakes! Vacation: My dream vacation is to visit the Swiss Alps. Window: The window in my office faces the forest so I can stare outside and feel like I’m in nature while I work. X-ray: Our last x-ray was this summer when my daughter slipped on the pool deck and broke her front permanent tooth in half. Yarn: I’m currently obsessed with creating rainbows out of yarn and rope. Zoo: My daughter and I like to go to the zoo with sketchbooks and draw the animals. What fun answers! Thank you Rachel, for allowing us to get to know you! 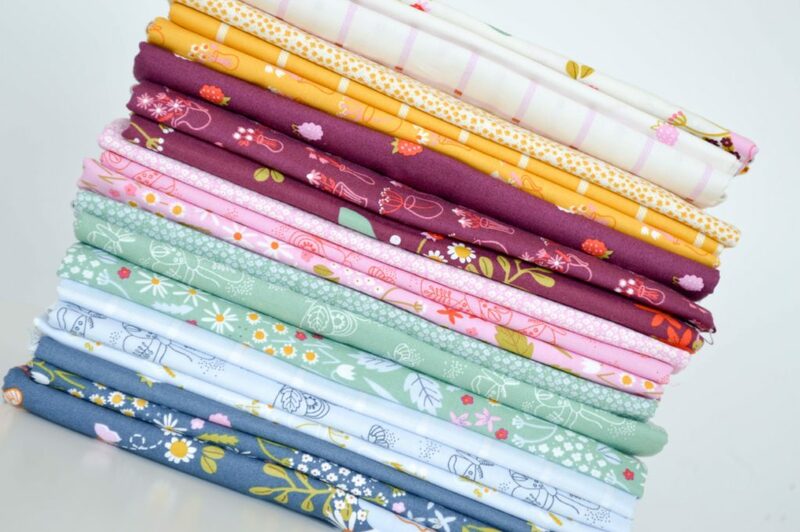 Rachel’s Wild Bouquet fabric collection is available now at your favorite local and online quilt shops so be sure to pick up yours today…..
….Or hop on over to our Riley Blake Designs Instagram feed to find out how you can win a FREE fat quarter bundle of Wild Bouquet!